Another absorbing case for Miss Markle and the BBC. Oh dear! BBC overflowing with another Royal engagement. Hopefully an American won't be acting up? It certainly appears to be a very human and genuine love match. Once upon a time Royal marriage was primarily a matter of alliance. Love was a secondary but not necessarily excluded consideration and possibility. Prospective spouses were selected from other European royal families for political purposes. In an age of "Constitutional Monarchy" in which important decisions are taken by elected officials and an invisible elite, an American Catholic with mixed heritage may tick all the modern PC boxes. Will it help to reinvigorate an ailing institution and a "special relationship" beyond the immediate personal one? Incidentally I'm not necessarily anti-Harry or anti-Monarchy. They and it provide continuity and national symbolism, wrapped up in a personalised family that people can identify with. There needs to be a bit of glamour, charisma and mysticism at the top of things. That's what old wealth and the trappings of majesty can do. It also helps if you can trace your family and their deeds - whether laudable or otherwise - back a thousand years and beyond - and nobody that is anybody in world history, has not been touched in some way or other by all the antecedents. Nor is it likely that anyone can find fault in the way the present Monarch has filled the roll or undertaken the arduous responsibility, given the fact that she had not chosen it for herself. Here indeed is both the strength and weakness of the hereditary principle. Certain parallels but fortunately abdication not one of them! Once it was a given that the King/Queen was the "Lord's Anointed" on earth. Both political pragmatism (from 1688 onwards) and religious agnosticism (increasingly from mid-19th C. on) have undermined it although the traditional Coronation and the remnants of a Christian faith or even embedded superstition, have preserved the idea, almost like a vestigial tail. Humans like to think themselves to be rational beings, but as recent research has proved (as if experience had not proved it before) this is far from true psychologically or socially. In fact we remain deeply influenced by embedded mental processes and the developmental conditioning we are subject to. The 'hidden persuaders' are as active now as ever - in fact more so. The irrational decision making better understood - at least by academics - than ever also. To give them their due, the Princes have attempted to reconcile the old and new, whilst suggesting how the Institution might be made more relevant to this modern technological era. The paradox of the rich and privileged promoting the welfare of the poor and disadvantaged cannot be avoided and it is hard to see it as other than a cynical ploy in image creation. However this is not to take anything from the much good that they have done for their chosen charities. After all there are lots of selfish wealthy people who choose to do nothing for others and few can claim to have done as much. You get the impression that they are rather embarrassed to be Royal at all, as summed up in that Harry quote that, "No one wants to be King or Queen." As sixth in line (currently) there is little chance he will be, but he has managed to carve out a distinctive, risqué but attractive personality, shaped primarily by a measure of vulnerability and genuine empathy. Given his own circumstances, it is to be hoped that this relationship will be truly happy and long lasting. It and they are certainly likely to remain very much in the public eye. It appears there is an insatiable global appetite for this particular 'soap'. Let's hope Miss Markle is up to it, with or without the assistance of the BBC. 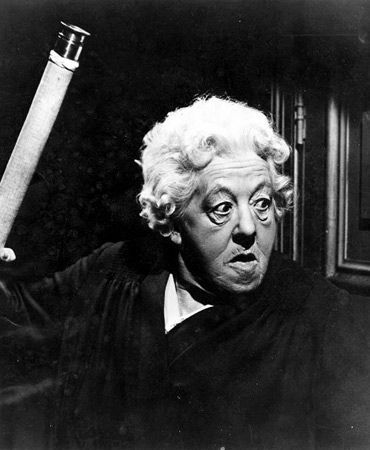 Margaret Rutherford as Agatha Christie's 'Miss Marple'. Who or what is Q Anon and what is it trying to tell us? I have no idea if “Q Anon” is really the President of the United States, but considering how he has already used Twitter to leak intel, it is entirely possible.”"